Oh boy, here she goes again. Making those cookies that she doesn't even really love, just for the sake of impressing some kids. 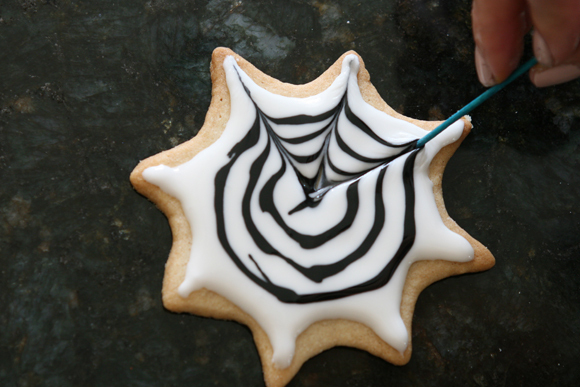 Yup, shameless I know ;) I saw this spider web cookie cutter at Sur la Table for a buck and I knew that, combined with the pinwheel technique I learned back in July, we could make a winning time waster combination. 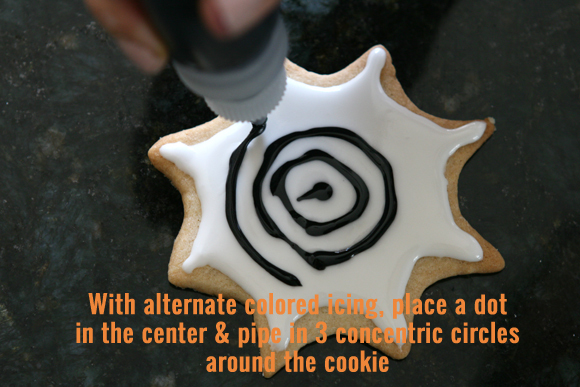 I also added a bit more white frosting to my black to make a gray icing which turned out really nice. I wish I would have made more in the white/gray color combination. 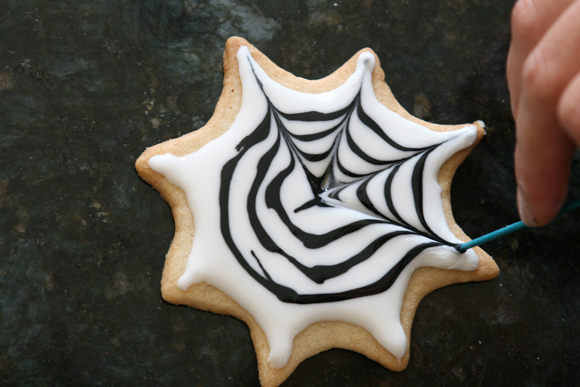 You can see the original pinwheel cookies I made for the 4th of July here. 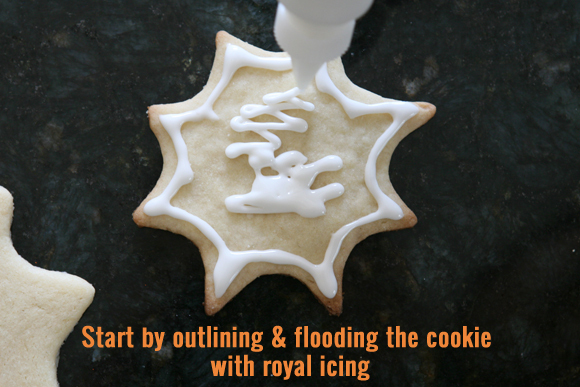 You can also see a video tutorial in this post, and I give some tips I've discovered along the way that has helped me work with royal icing. 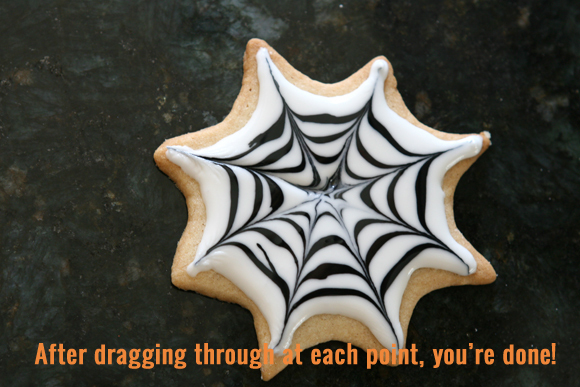 Oh, and by the way...the spider web cookie is now on sale for a 49 cents at Sur la Table! 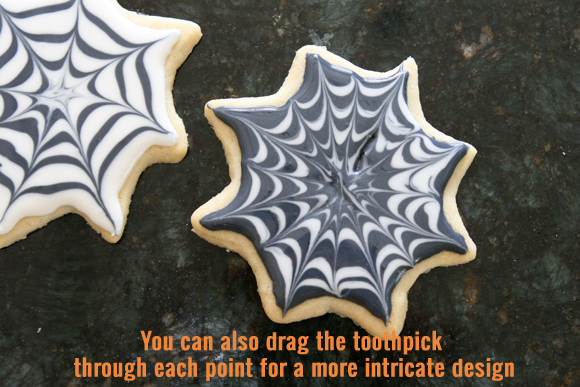 If you don't feel like picking up the spider web cutter, you can easily just make round cookies and the spider web effect would still be just as cool. Linking up with Heather for Life Made Lovely Monday. 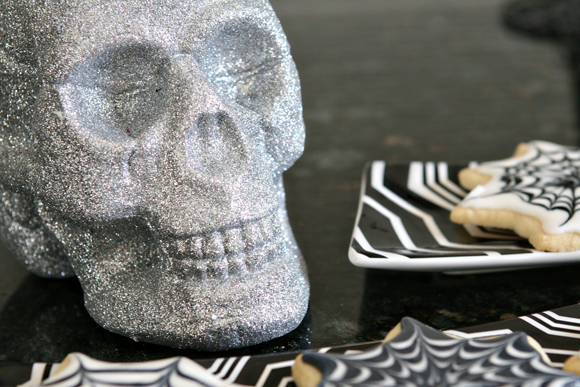 Are there any other spooky fun treats you plan on making for Halloween this year? I'd love to see some other ideas. 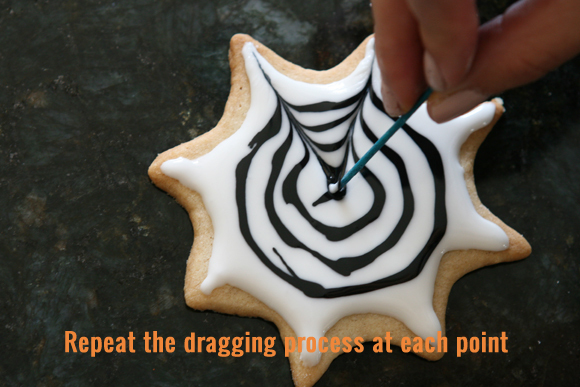 Leave a comment and a link if you're up to something fun. WOW!! Those are seriously amazing. I'm definitely going to have to try them out. Thanks for posting. whoa, girl! 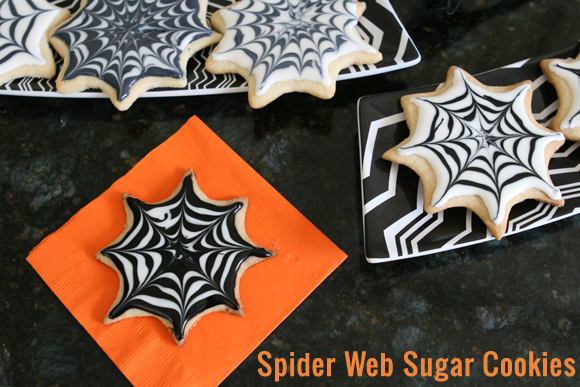 spiderweb AWESOME cookies!! Very cool! 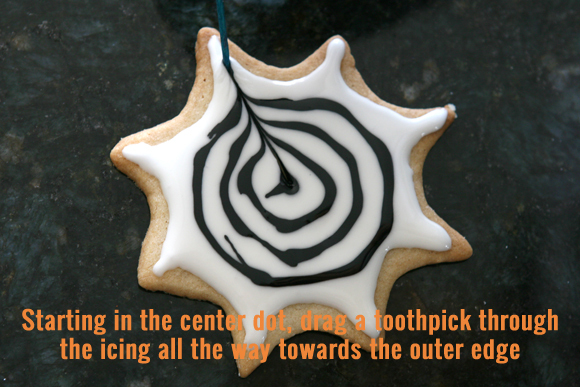 I've seen these before with round cookies, but the star shapes makes a big difference. Spookier. Webbier. Wow! 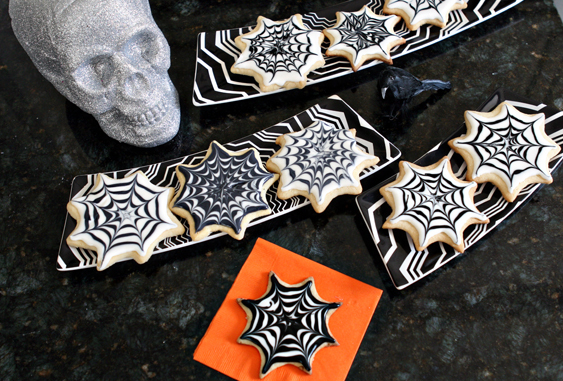 I just baked halloween cookies yesterday! 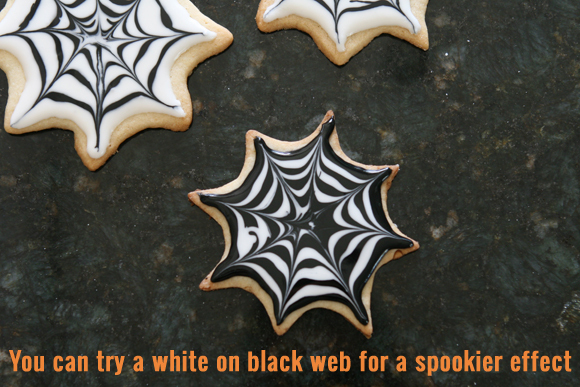 Adding these beauties to the to-bake list for next year! 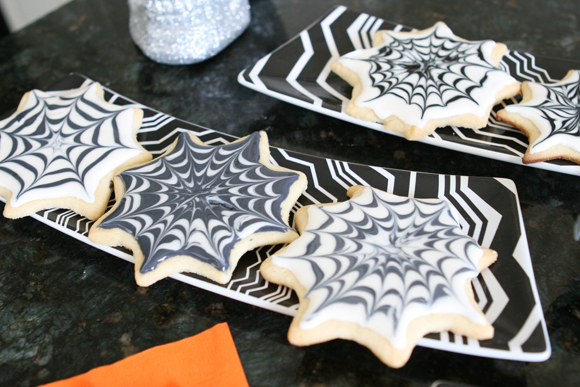 baking and decorating sugar cookies are my favorite thing to do! Yet I have never learned this technique?! What?! Madness! Thanks for sharing! Yours look so professional. UH-mazing.